We do not sell any hardware products, but rather we license products incorporating our designs and technology to manufacturers and assemblers of lighting and other green technologies. We provide complete plans, schematics and models, training, manufacturing and assembly methodology, technical support, and product testing for our licensees. We can also license some of our custom LED products/technology to manufactures and vendors to incorporate into their own products. We also license customized versions of our literature and publications with your logos and model numbers. This allows manufacturers and distributors to offer their clients "branded" up-to-date research and information on induction lighting technology. Our publications can be a valuable asset for marketing, staff training and customer education. NOTE: Our products and copyright materials are licensed on a per-territory or per-country basis, thus not all products or publications shown here may be available for licensing in your area. 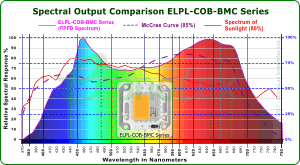 The world's first purpose designed LED COB Grow/Plant-light Lamps with a close match to the McCree curve (plant's light absorption curves), invented by Michael Roberts. LED Grow/Plant lights offer energy savings while providing 95% (or more light output useful to plant growing. "Green Technology" product helps mitigate global warming by reducing CO2 emissions from power generation. The proprietary and trade-secret LED Grow/Plant-light COBs have been licensed to EconoLux Industries Ltd., for production. 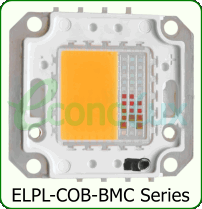 You can visit the EconoLux Website for more information and ordering. InduLux Technologies has a large library of Induction Lighting information, papers, case studies, charts, graphs and graphics. These can be licensed and customized with your logo, web site, and contact information for use in your promotional and sales programs, customer and staff education. 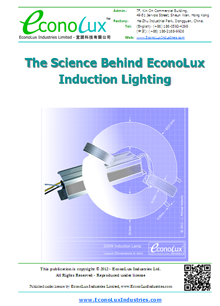 Here is an example of a personalised version of our "The Science Behind Magnetic Induction Lighting " publication customized for EconoLux Industries. For examples of some of our other publications available for licensing and customization, visit our Library.